I don't do a lot of baking, but there are a few things I like to make for Christmas. A lot of my Christmas baking gets passed on to friends as a little gift, and of course I keep a bit for Rob and I to enjoy. The very first thing I ever remember learning to make as a child is Non-Cook Cherry Balls, our neighbor, Marilyn, made them, and I love them. They are as much a part of my Christmas as having a tree. Mix first 4 ingredients to dough like consistency. Pinch off a piece of dough, about small walnut size, put cherry in centre and roll into ball shape. Roll in Graham Crumbs. Refrigerate. Makes about 24 balls. 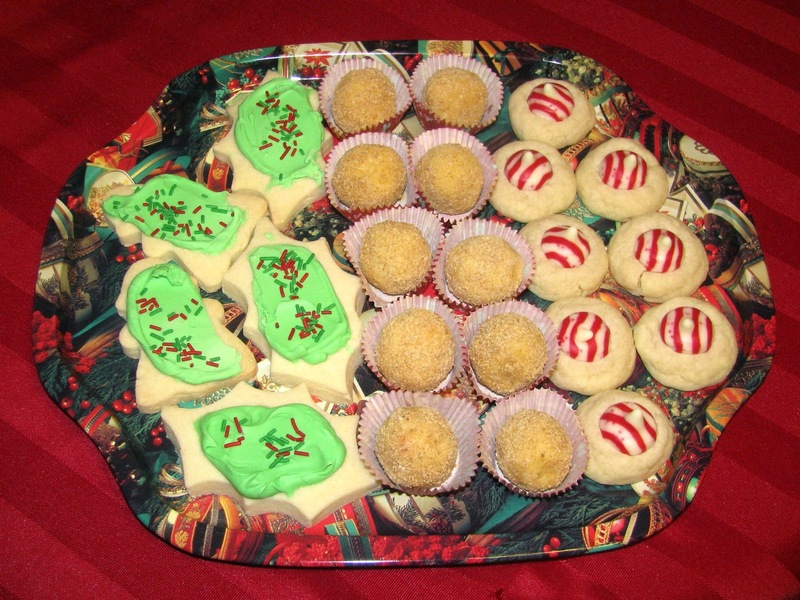 You can find my Shortbread recipe HERE, and my Candy Cane Blossoms recipe HERE. I am not a fan of baking but I think even I could manage the cherry balls.